The following are some samples of our work that’s been posted on Facebook! Don’t forget to follow us to keep in touch as we post new projects. And now, a word from one of Thursdays House Wash customers. "I just wanted to let you know how pleased I am with the results from your service yesterday. Zach did an outstanding job. Money well spent. I will be sure to recommend you. Thanks again." Richard Could your home use a bit of brightening this spring? Got Rust? We completed a rust removal project for a client in 2011. I stopped by the other day to see how things are holding up. Pretty well, I'd say. Slippery when wet? Not anymore. A little bit of soap and water made all the difference in this Cedar Hills home. Retaining walls. Yes, they hold the dirt back but they still need to have the dirt cleaned from their surface from time to time. We can help with that. Is your Sharpsburg area home for sale? A clean roof could help it look its best! The folks at Gowers Feed Mill were looking for a little pre-winter clean up so we took care of them with a non-pressure roof cleaning and a soap and water porch and siding wash. Stop by and see them sometime for the best in animal and agriculture feed and seed. Cleaning up this South Pointe home for the new owners. The season is about finished. Now taking reservations for April 2016. Halloween is over folks. Time to get rid of those spider webs and bug guts. Call now to get on the list for a house wash for next season. We get called upon to maintain a lot of nice homes and commercial properties. Here is a recent commercial location that we serviced. The really neat thing about this project? This is the before picture. It was dark by the time we finished and so there is no after picture. This is just another example of folks that want to maintain their properties and not wait until they need restoration. Thanks Jim, it was a pleasure working with you. It is going to be the best show ever! Stop out and see us at the Hagerstwon Home Show. Saturday 9-5 and Sunday 10-4. At Hagerstown Community College. Hagerstown Home Show. Saturday 3/19 and Sunday 3/20 at the Community College. Come on by! SoftWash is the term used to describe cleaning exterior surfaces using detergents and very low pressure for rinsing. Very low, say, in the 150 psi range. Dirty downspouts now as good as new. 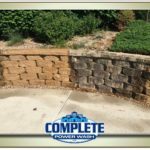 To read our expert advice on pressure washing in the greater Hagerstown, MD area, click here for our Complete Pressure Washing Blog posts. Contact us using our online form.